REEF JUSTICE! Hawaii Supreme Court overturns lower court rulings in favor of reef advocates. 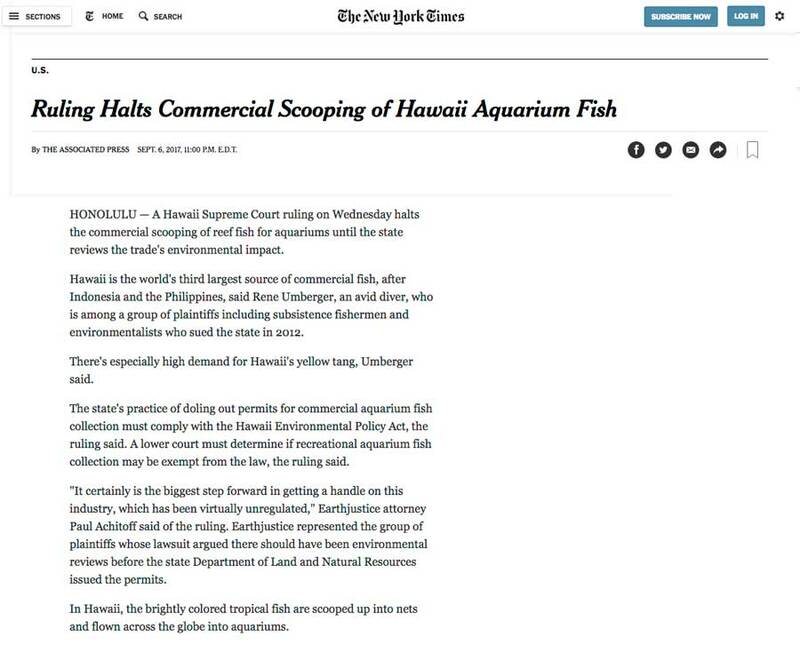 Commercial aquarium fish collecting must cease across Hawaii. Link to complete article on Uprising.